If you are going to do then do it right! 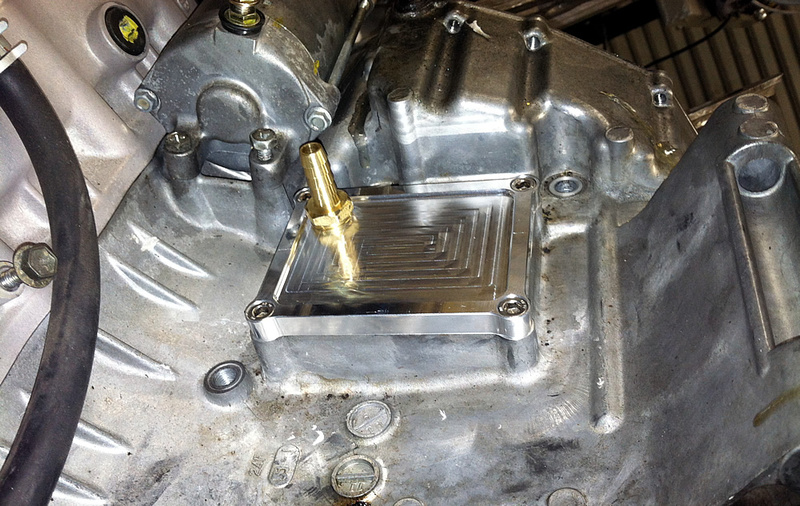 That is exactly what we did with our low profile engine crankcase breather covers. CNC machined from 6061-T6 aluminum to exact tolerance's to ensure a exact fit just like the OEM cover. The cover is 3/8" thick and the mounting bolts tighten down flush with the cover to give you even more clearance and a clean look. The Brass breather vent fitting accepts 3/8 id size hose. This breather allows for more room under the tank when using a nitrous set ups or an external fuel pump and regulators such as for turbo and Nitrous Oxide applications. The breather comes with stainless steel mounting bolts, brass hose fitting for the vent and a new gasket. We are the only one that provide's you with everything you need to complete the installation. No more hunting for bolts or gaskets or the correct size vent fitting or messing with cheap plastic vent tubes other inferior breather covers come with or plain steel bolts that rust. Click the button below to add the GSXR1000 Low Profile Crankcase Breather Cover (2001-2008) to your bike build.